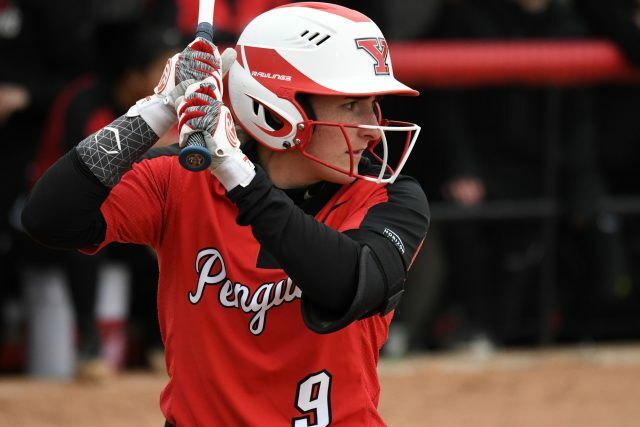 On Wednesday evening, the Youngstown State University Softball team hosted Kent State University for their home opener in a doubleheader at the Covelli Sports Complex and walked away with split versus the Golden Flashes. The first game saw a complete dominating effort by Kent State, as they run ruled YSU 10-0, and tossed a no-hitter against the Penguins (5-17). YSU rebounded, and thanks to a great pitching effort by freshman Addy Jarvis and a solid offensive game by freshman Grace Cea, the Penguins took game two by a final score of 4-3. Penguins coach Brian Campbell was happy with the way his team came back after a tough loss in game one. “I’m happy how they responded going in and being able to pick up that second game, because they beat a pretty good team there,” Campbell said. Dani Dadig started off the bottom of the third inning with a double to right field, and a few batters latter Lexi Zappitelli was hit by a pitch, to set up Cea for the opportunity to do some damage. She capitalized and hit her first career home run at YSU, as the three-run shot would give the Penguins a 3-0 lead. Cea was ecstatic after the game. Campbell’s team created a motivational tool for hitters. The Golden Flashes (7-15) knotted the game up, by scoring three runs in the top of the fourth inning, but the Penguins would rebound and regain lead in the bottom of the fourth, as Sarah Bader would score on a wild pitch. That was all YSU needed, as Jarvis would go on toss a complete game along with seven strikeouts, which led to a 4-3 victory in game two. Campbell was impressed with Jarvis’ performance. 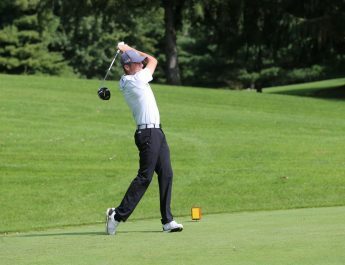 “Addy [Jarvis] has done a fairly good job here recently for us. She’s been able to keep us in ballgames,” he said. Jarvis felt that is was important to help her team rebound after game one. “I do it for all of them and they do it for me, so I think that going into that game [game two] I was just like, we gotta get this win, we gotta get this confidence booster, it takes all of us,” Jarvis said. After YSU retook the lead, some of the pressure came off of Jarvis’ shoulders. “I knew that we were getting runners on the entire game, so I felt that even if something were to happen, I think we would have answered and I think that’s what gave me the chance to relax a little bit,” she said. YSU will look to take some of this momentum into this weekend, as they open up Horizon League play against the Oakland University Golden Grizzlies with a doubleheader on Saturday at home, with first pitch currently set for 2 p.m.